Crown Pillow Boxes - Lab Depot ltd.
Boss Pillow Box is a new crown box made of clear plastic with two clear holding membranes. When a single crown, or a three- unit bridge or a six- unit bridge or more is placed in the box, it appears as it is floating in air, even as it is held firmly in place by the membranes. 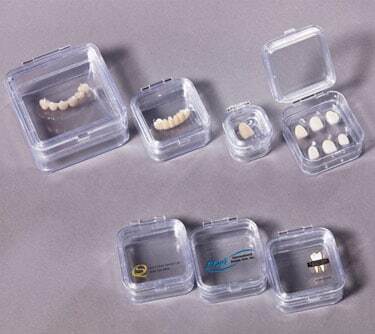 The Boss Pillow Box is perfect for shipping all Ceramic Crowns or Porcelain Veneers.